So yesterday, after digesting more uncertainties at the school board meeting, I had to take a minute and get some things off my chest. 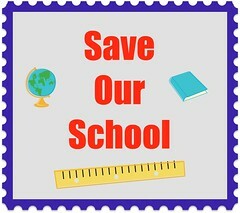 I wrote about it here: Education funding crisis – save our school. Did you or your child ever go to a school that was constantly threatened to close down or get shut down? If you have any experience, I would love to hear suggestions on things to do to help our school and especially my son who will be devistated if this happens. No i have never dealt with that with me daughter. It seems like every school district has something going on these days. It’s pretty sad how schools have become a lesser priority. Sorry I really don’t have any experience like this. Good luck! I have no experience with the matter as yet. I don’t have children in school as yet. I am not sure I can give advice on this matter. I hope it works out for the best because that is just added pressure on a child in the learning environment. I’m sorry your son has to be dealing with this threat…and you too as a parent. Never had that experience, but I feel for you both. I hope things work out for the best! My kids are both little so I haven’t directly dealt with this issue. However, schools in our district close all the time. Our town supervisor is very crooked and bribed easily so there is a lot of shadiness going on. I’m hoping to move to PA and avoid the whole mess. Hope something works out for you. I’m really sorry to hear about the drama with your son’s school. I have not had that experience and I do hope you are able to get some advice from others. No I haven’t!I am so sorry that you have to deal with this! 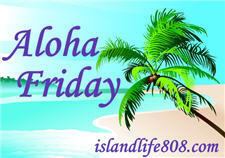 twincerely,Olga´s last blog post ..Aloha Friday! No we’ve never dealt with that! But I am sorry for you guys! When my kids were growing up our local school district was building schools like crazy. We had 3 elementary schools, 1 junior high and 1 high school. Now there’s 15 elementary, 5 middle and 3 high schools. (Might I add that these high schools look like colleges. They even recently remodeled the original HS) Now they’re shutting schools including the newest middle school. My experience from volunteering and working in the district taught me that funds are wasted. Very little ever makes it to the children and it’s all because of politics. Sadly until the politician start to care more about their constituents instead of their political careers thing will continue to decline. I wish you more luck than I can put into words. Hugs!